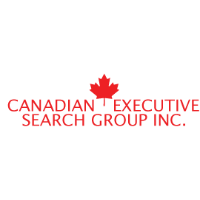 Canadian Executive Search Group are a premium staffing agency specializing in matching suitable engineers with engineering companies in the Windsor, Ontario area. We use our focused and targeted recruitment practices to source qualified engineers to fill your job vacancies. We can also offer local engineers who are on the lookout for a new career path a variety of Engineering oriented jobs that are open in the Windsor area. We take advantage of the extensive head-hunting training our staff has received, sourcing high quality and well-rounded engineering candidates for the best engineering job opportunities in Windsor. We have the skills needed to find suitable engineering candidates for your business, whether your company requires full-time, temporary, or contract engineers to join your team. If you would like to recruit an engineer in the Windsor area, contact us to go over your job requirements for review by our engineering candidates. Have you been searching for an engineering position? There are a vast array of jobs available that require certified engineers, ensuring engineering job positions are open in Software, Process, Industrial, Electrical, Biomedical, Architectural, QA, Manufacturing, Geotechnical, Civil, and Automotive Engineering in the Windsor area. Engineers – Begin your engineering job search in Windsor today! If you are seeking a job opportunity in Windsor, Ontario as an experienced engineer, we can assist you in finding your next engineering job. We can offer everything needed to find and secure your future engineering job placement in Windsor, Ontario. How does the engineering application process start? Step 1: Starting your engineering job search is easy, begin by clicking on the ‘View Engineering Job Vacancies’ button and you can review our database of engineering vacancies in Windsor. Step 2: Once you have located the engineering job posting you would like to apply for, it’s as easy as completing the application form.